When it comes to technology, it’s hard to think of any sector that advances quicker than the medical industry. Sure, cell phones and military tech are always on the cutting-edge of innovation, but people usually forget about how fast medical advancements have come in the past few decades. Through dedicated research, patients have more options than ever for treating almost any condition imaginable. Just a few short years ago, an HIV or cancer diagnosis was an immediate death sentence. Unfortunately, this is still sometimes the case – especially when it isn’t caught early enough. But in general, treatment for terminal illnesses has far exceeded anyone’s expectations. From bionic limbs to mapping the human genome, medical advancements are moving fast and show no sign of slowing down. Stem cells are remarkable because they can be used anywhere throughout the body for just about any purpose. 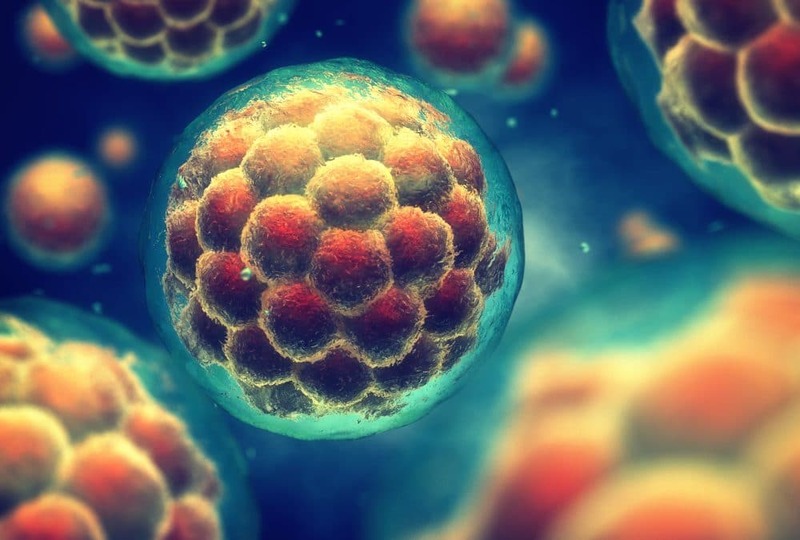 Stem cell treatments are still pretty expensive and many insurances won’t cover them, but they are more accessible now than they were a decade ago. Now, stem cell therapy can be used for recovering from brain or injuries and just about anything else. In 2003, scientists and researchers began sequencing the human genome. Through this research, people and organizations in the healthcare industry have been able to study genetic conditions and new treatment options. This has led to invaluable information and countless new opportunities. Laparoscopic surgery is the norm now: no more huge incisions and slow-healing wounds. Surgeons can use minimally invasive methods for all types of surgery including hernia repair, appendix or gallbladder removal, or back operations. You can’t go far in the healthcare industry without stumbling into a robot in some way shape or form. Robotics are indeed everywhere. You can find them performing surgery, assisting patients, disinfecting hospitals, and dispensing medication. In some cases, doctors may control the robot to perform surgery via a remote control. Merely 20 years ago, HIV medications were unaffordable, produced several unpleasant side effects, and included a large cocktail of drugs. Now, doctors can prescribe one pill which combines different types of medication. Researchers are also well on their way to “curing” HIV through innovative methods and targeted medications. For years, radiation and chemo were a patient’s only treatment options. Over the past decade, significant healthcare advancements have created targeted cancer treatments. Instead of applying treatment to the whole body, these options attack and destroy specific cancer cells. There are now 25 options available and doctors will soon be able to create customized therapy options for each patient on a molecular level. Cosmetic surgeries like face transplants have given people with burns, scarring, and other injuries a new lease on life. Connie Culp was shot by her husband in 2004. Just four years later, doctors were able to completely reconstruct her face. She can now smell, eat foods, and make facial expressions. Prosthetic limbs have made for remarkable medical advancements over the past few years and are constantly changing. Patients who have lost arms and legs may now opt for bionic limbs that function much like natural hands and feet. They can be controlled from an app or – in some cases – brain waves. For years, affordable healthcare was completely inaccessible to millions of Americans. In the past decade, the expansion of Medicaid has given millions of people health coverage for regular doctor appointments and emergency care. When the pill first came out decades ago, it included very high levels of hormones. Over the past few years, that amount has reduced to nearly non-existent levels making the pill safer than ever before. Women now have more options at their disposal. Instead of taking a pill each day, women may opt for implants called IUDs which may or may not contain additional hormones. What’s the use in medical treatment if it isn’t accessible to people who really need it? Unfortunately, it’s still extremely hard for many people to afford the cutting-edge treatment they desperately need. Lots of people resort to methods like crowdfunding to pay for procedures and treatment. Expanding Medicaid has helped millions of people, but the general health care system is far from perfect. Hopefully one day all these spectacular advances will be available to everyone who needs them most at an affordable cost.